Sennheiser officially opened its first Sennheiser Experience Centre in Singapore today. Located at the heart of Orchard Road at 313@Somerset, the experiential showcase will allow customers to personally experience the audio brilliance of what the company reckons as “the best headphone system in the world”. 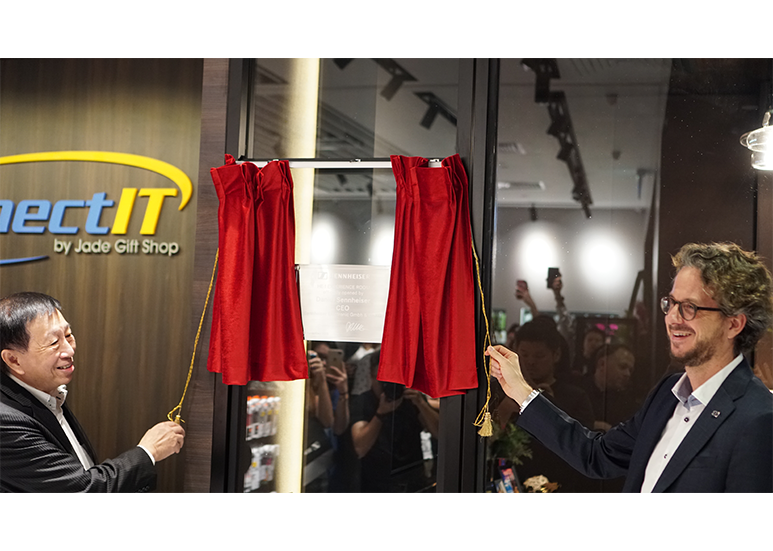 The Sennheiser Experience Centre was jointly opened by Daniel Sennheiser, CEO of Sennheiser Electronic GmbH & Co. KG and Chong Nan Sin, Founder of Connect IT by Jade Gift Shop. 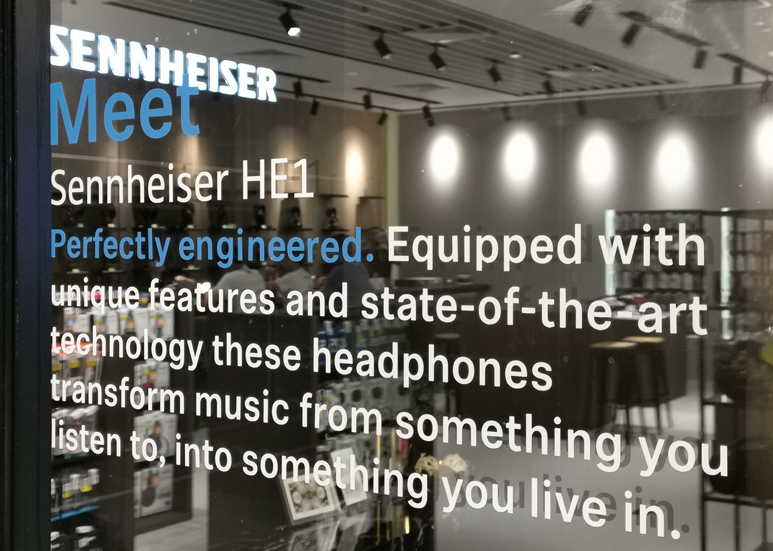 Situated within Connect IT at 313@Somerset, the Experience Centre showcases the Sennheiser HE 1 in a simulated living room setting, allowing consumers a complete experience of the coveted headphones. Trained Sennheiser representatives will be present to walk the customers through a 30-minute live demonstration of the Sennheiser HE 1. The demonstration is strictly by appointment only and can be scheduled with Connect IT when timeslots are subjected to availability. Six Porta-Fi readers will be amongst the first to experience the new Sennheiser Experience Centre on the 1st of December 2018 during the Meet Sennheiser HE-1 with Porta-Fi event, jointly organised by Porta-Fi and Sennheiser. Connect IT was founded in 1978 by Mr. Chong Nan Sin, who started the business by retailing audio products, mainly transistor radios and walkmans. Being situated near the famous Jade Cinema located at Shaw Tower, the area surrounding the cinema was popularly know as Jade. Hence, the name “Jade” was used in the name of the business named Jade Gift Shop. In 2012, a new retail brand “Connect-IT” was launched to rejuvenate the business. Connect IT by Jade Gift Shop has established itself as a leading retailer in audio related electronics products. Inline with their 40th-anniversary celebrations, today also marks the official opening of Connect IT’s new Flagship store at 313@Somerset. 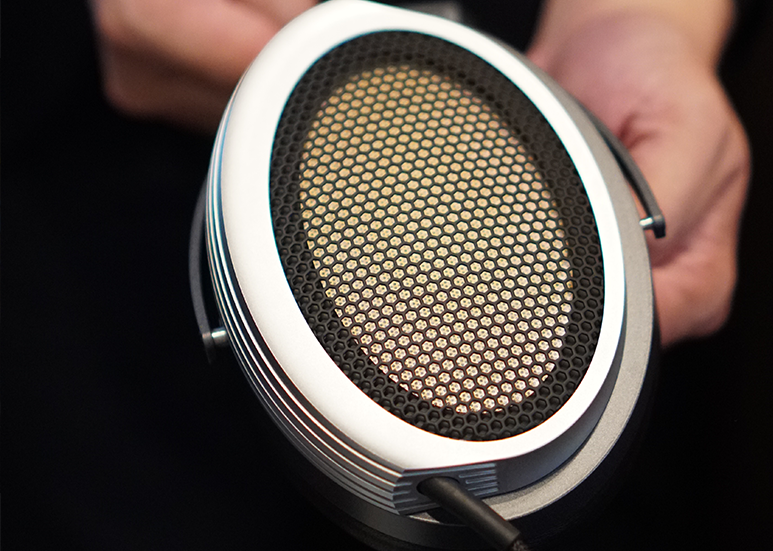 The Sennheiser HE 1 retails for € 55,000 before tax and is available for order through Connect IT at 313@Somerset.